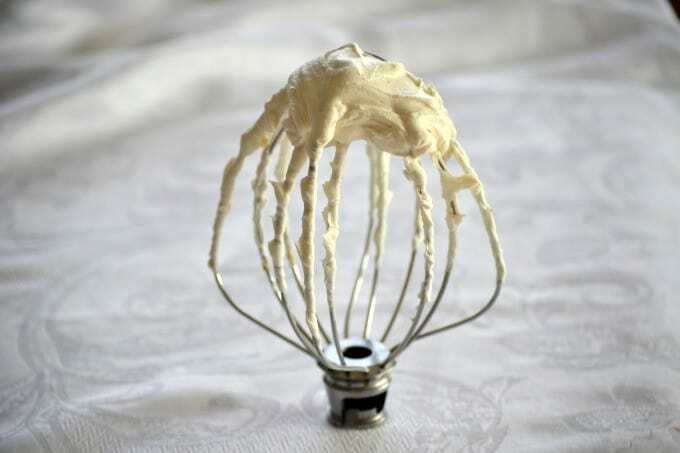 Stabilized Whipped Cream – a whipped cream made thicker with the addition of cream cheese and confectioners’ sugar. Use it as a replacement for Cool Whip! Do you use Cool Whip? Or are you on Team “I-would-not-touch-it-with-a-10-foot-pole”? And if you’re familiar with a few of my recipes you know which ones have it. I’ve used it for years and have never really had an issue with it, but I know some people out there really don’t like to use a whipped topping with the many ingredients that are in it. I won’t go through them all, but you can Google them. I’m certainly not here to bash Cool Whip because it’s something I’ve grown up with and may use now and again as I know people do use it for the convenience. But, I have to say that nothing beats some real homemade whipped cream. It will always remind me of my grandmother – always from scratch was her way of thinking. 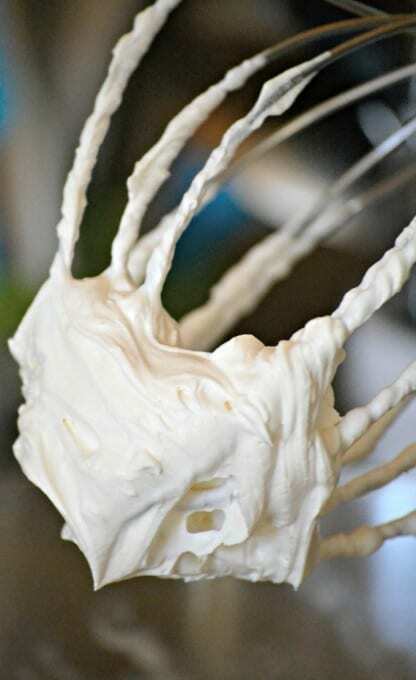 I found this recipe for Whipped Cream with Cream Cheese when I actually needed some Cool Whip for an upcoming recipe. (I think you’re gonna LOVE it!!) But, because of time constraints I wasn’t going to be able to give up the four hours of thawing time, make the recipe and have it set in the fridge. There’s food to photograph and I need natural light, ya know? 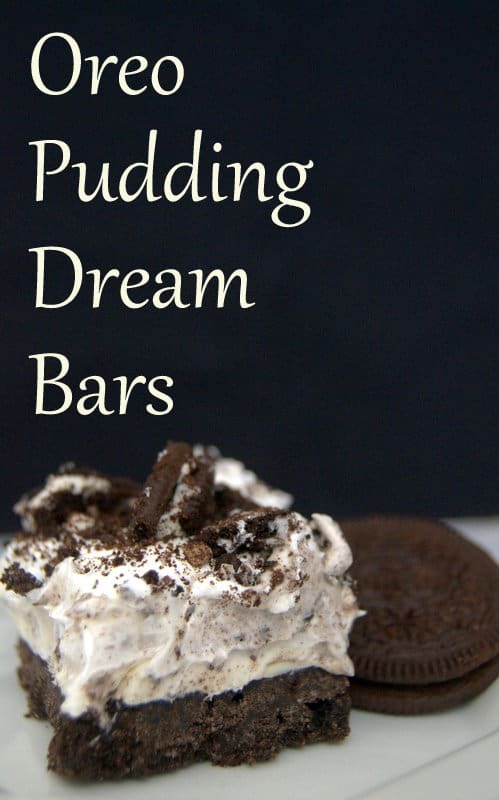 Many of you have been asking if you can use real whipped cream in the Dream Bar recipes and I didn’t have an answer for you as I hadn’t used it. I didn’t think plain whipped cream would be thick enough for the consistency I was going for in any of the bars. I believe some people have used it, but I feel more comfortable suggesting you use this Stabilized Whipped Cream. So, here we are with a recipe that uses real heavy whipping cream, cream cheese, confectioners’ sugar and pure vanilla extract. That’s it. Four Ingredients. Nothing you can’t pronounce or feel anxious about. You know what’s in it and it’s made right in your own kitchen. Here’s a short video on how this Stabilized Whipped Cream is made. Use these items to make your own Stabilized Whipped Cream – this mixer, and store it in this container if making it in advance. This Stabilized Whipped Cream uses cream cheese and confectioners' sugar for thickening so you can use it as a replacement for Cool Whip! In a mixing bowl, beat the cream cheese with the confectioners' sugar and vanilla until soft and creamy. Transfer to a small bowl if like me, you're not fortunate enough to have two mixers. In the mixing bowl (you don't have to clean it), beat the heavy whipping cream just until soft peaks form. You'll want them to collapse, not stand up. Add the cream cheese by distributing it in thirds around the mixing bowl. Oh my goodness!!! 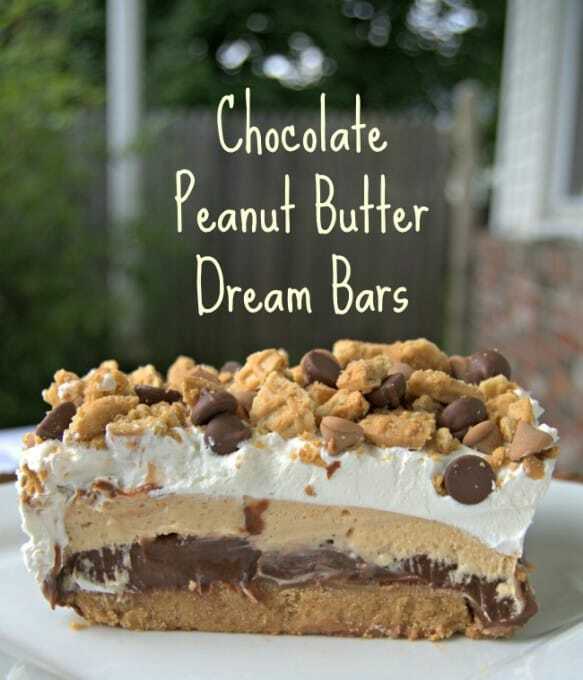 These dream bars allllllllllll look heavenly! I don’t know which one I want to make first. I’ve never heard of these but I am definitely going to make them all….. Eventually. Can’t wait for the next one! 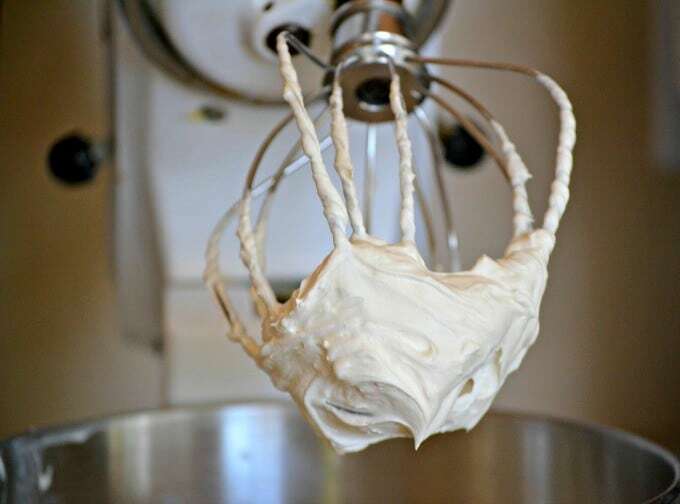 Thanks for sharing this stabilized whipped cream recipe. Thank you SO much, Lisa! I’m so happy to hear that. I’ve added another Dream Bar to the mix – Strawberry Cheesecake Dream Bars and you can find them here: https://www.365daysofbakingandmore.com/strawberry-cheesecake-dream-bars/. Enjoy them! What a great idea. I use cool whip at times, but this will be fantastic alternative. Pinned. Thanks for sharing. Thank you very much, Mary. Hope you like it! JUSt found your website and sub for Dream Whip. Thank you a million. I find the taste of Dream Whip is so totally ugh!!! The taste of the chemicals is so obviously gross that the beauty of the dish is spoiled. One taste tells all. Don’t mean to be derogatory but my tastebuds detect it every time. Thanks so much, Kristen and you’re welcome! YES!!! This will be used again and again. I use Whip It to stablize my cream, but it’s still not CW consistency. You’re a genius, my friend. I can’t wait to try this. . I don’t really buy cool whip but would love to make this on my own! Thanks, Melanie! Hope you like it. From a cool whip hater who has never understood why people willingly ingest all those chemicals, a BIG thank you. You are very welcome, Lizzie. Hope you enjoy it. I certainly do! Can this be made in batches and frozen for periods of time? I am not a Cool whip fan but it can be frozen. If this can be frozen it is a real winner. Donna, that is a very good question and unfortunately, I don’t have an answer for you as I haven’t tried it. If you are curious enough to make it and freeze it, I’d love to know how it turns out. Did you find out if this mixture is freezable? Love your Dream Bars. That’s fantastic, Kat, I’m so very happy to hear that. But probably not as happy as your husband and child will be when you start making those awesome desserts for them! Enjoy it and thanks for letting me know. Does it have a cream cheese taste. I’m going to be honest and say there is a slight taste of cream cheese, but it’s more of a rich whipped cream taste than cream cheese. Personally, I love cream cheese, but I don’t think it’s very strong. Denise, I don’t see why you couldn’t use food coloring with it. I haven’t tried it, but I don’t think it would be a problem. I’d love to see a picture of the cake once you’re done with it if you want to post a picture to our Facebook page. Good luck with it! Can this be made a night before and refrigerated? Melissa, I believe that it can, but I can’t guarantee it. For best results, you’ll want to make and serve it the same day. Just a question -you say it can be refrigerated for 5 days but here you say make it and serve the same day for best results. Can it be made the day before and then put on the morning of? I have made a strawberries and Cool Whip frosted two layer cake for my daughter’s Birthday for years. Do you think the Stabilized Whipped Cream would hold up to doing a layer cake without dissolving to a liquid before the cake is eaten? While I don’t mind the flavor of Cool Whip, I’m not crazy about what’s in it. I usually just whip up some heavy cream but this looks great! If I use this as a substitute for Cool Whip I’m guessing it’s just a 1:1 swap? Thanks! Alex, I enjoy the flavor of Cool Whip as well, but feel the same way you do. You will want to substitute the Stabilized Whipped Cream 1:1 for the Cool Whip. Hope you like it! I use real whipped cream on my cakes and cupcakes, instead of the sugary, fattening frostings. I mix powdered sugar free, fat free pudding mix into the heavy cream and whip it until peaks form. It is delicious! Sugar free, low fat and low carb, with a light fluffy taste. It holds its shape well. I’m sure it would work with jello too, I just haven’t tried it yet. That’s a great idea, Kay! I really appreciate you sharing that with us as people are always looking for alternatives in recipes. Can you use lite cream cheese and fat free whipping cream? Carol, the light cream cheese might work, but I don’t think the fat free whipping cream would have the right consistency. I haven’t tried either of those products as I don’t use them. If you do make it that way with both I’d love to hear about the end result, so please let me know! Do you think this would be ok to use in the fluffy jello salads? We love them, but like others don’t like all the whipped topping ingredients. Cheri, I think it would be ok to use it in those jello salads that call for Cool Whip! I have actually stabilized whipped cream using Mascarpone cheese and it is awesome!! I also use unflavored gelatin to stabilize whipped cream! 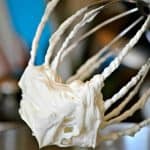 I found your post about Stabilized Whipped Cream when a friend of mine asked about a Cool Whip substitute. I’m thrilled and can’t wait to try it! Thanks so much Maribeth and thanks for writing the post about it! Thanks, Pam. It works really well with those recipes that call for Cool Whip. I unfortunately don’t know the nutritional info. for the recipe, but I’m sure you can Google a site where you can paste the url of the recipe and it will come up. Sandra, I’d say you can keep it refrigerated for up to 5 days though it’s usually gone in our house long before then. As for freezing, I’m not exactly sure because I haven’t done it, so don’t have a definite answer for you. Sorry. Thank you for the recipe. I am an American but live in England. As far as I know, cool whip is not available in the UK. Now I can recreate some of the holiday recipes I have been missing. Yay, Valerie!! That makes me so happy to hear that! I’ve heard that Dairy Whip is similar to our Cool Whip, but I’d much prefer to use this Stabilized Whipped Cream over either of those. Hope you like it! Can this stabelized, whipped cream be made using Nufatual or fat free cream cheese? Stephanie, I haven’t used either in this recipe, so I can’t say for sure but I think that you would be able to without a problem. If you do, please let me know how it turns out as I’m very interested to know! Thanks! Have you published a cook book yet? I would love to buy one. Can you use this stabilized whipped cream on a Black Forrest Cake. I have to bake one for church Sunday. I haven’t bake a black forrest cake before. So I need to bake it tomorrow. I didn’t know you had to stabilized the whipping cream to just a few min. ago. Ann, I’ve never made a Black Forest Cake either, but you could definitely use this Stabilized Whipped Cream on it. After reading some Black Forest Cake recipes, this would be fine because the whipped cream does need an ingredient such as the cream cheese or confectioners’ sugar to make it sturdy. Have fun making it! If you want a lower carb & calorie option, I have had fairly good results adding just a bit of dry knox gelatin to my whipped cream to stabilize it. 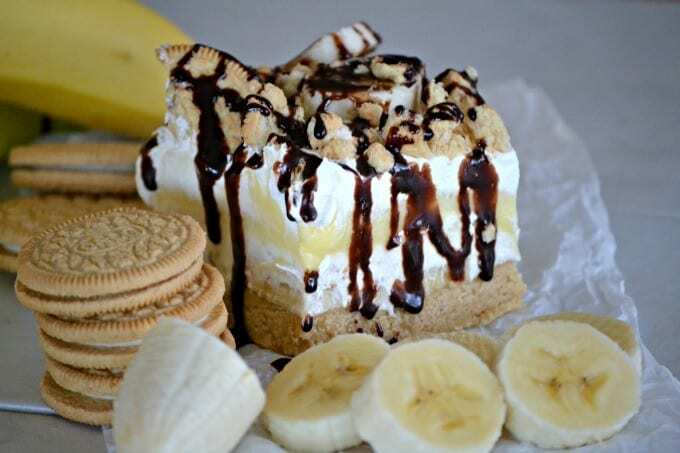 After making this recipe, I don’t know why I would ever go back to Cool Whip! It was amazing and so easy to make. I accidentally used granulated sugar rather than confectioner, but it still turned out great! Thanks for the recipe. Thanks, Kim! I love it so much better than Cool Whip, too! Glad it tasted ok with the granulated sugar. That’s good to know! THANK YOU THANK YOU THANK YOU!!! I am in group won’t-touch-cool whip-with-a-10-foot-pole. So this recipe is SO much appreciated. I was looking for a substitution to go in a strawberry cheesecake, of all things, and THIS will be perfect, as the cream cheese will blend right in. Pinning (and using!). That’s so awesome to hear that you’ve found a recipe that you’re happy with. Thanks so much for letting me know, Zuzu Petals! Thank you so much for the recipe. I hate the artificial ingredients, taste, and texture of Cool Whip. I’m making this recipe as soon as I complete this thank to you. Thank You! Thanks for this. I’ve never actually bought or tasted Cool Whip and was looking for a sub for a ‘no bake’ recipe I want to try. It’s a great and tasty substitute, Sylvie. I hope you like it! One thing I do when making whipped cream is put the cream, sugar, and vanilla in the blender (or a food processor) and then turn it on high until it whips into a thickness that’s almost butter. You don’t even need the cream cheese, though I imagine that’s a good flavor to add. That’s awesome, Jen! Thanks so much for the tip! Oh, Melissa, I’m SO sorry that happened! Depending on what the temperature of your room was when you left the cream cheese out, it should have sufficiently been soft enough. I’m thinking that it may have been whipped too long because when it’s overwhipped, it will start to turn to butter. I would whip it just until the peaks become firm and it’s not runny and unfortunately I can’t give you an amount of time because I don’t remember. I’ll have to add that the next time I make it! You over whipped the cream and were on your way to making butter. Ooops. Love homemade whipped cream!! Thanks for sharing!!! Homemade reminds me of growing up and tastes so good! Thanks, Jocelyn! Such a genius idea! I love Cool Whip but think this looks so much better! Thanks so much, Lisa! We love it! I would like to make this for Holidays! Thanks so much, Alyssa! Hope you like it! Thank you, Theresa. I’m so glad you enjoyed it! I love fresh whipped cream and it really doesn’t hold for long. Love the idea of using cream cheese. I don’t use Cool Whip at all, but have used Dream Whip from a box. Helpful in a pinch. Can’t wait to try this one. Thank you so much!!!! Helen, thank you so much. 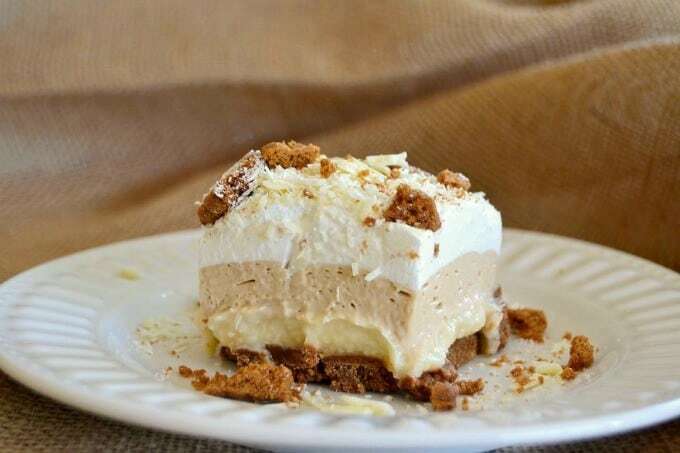 I’ve never used Dream Whip, but I really do like this recipe a lot and really prefer it over the Cool Whip. I hope you like it as well! Well I’m glad I stumbled upon you…This is exactly what aim was searching for. The results were amazing beyond my expectations. You’re a sweet darling. Easter dessert, Check! Yay, Mick! I’m so very glad you found my site, too! I hope your Easter dessert turned out every bit of delicious as you had hoped it would. I look forward to sharing more great recipes in the future with you as well! Enjoy your week! 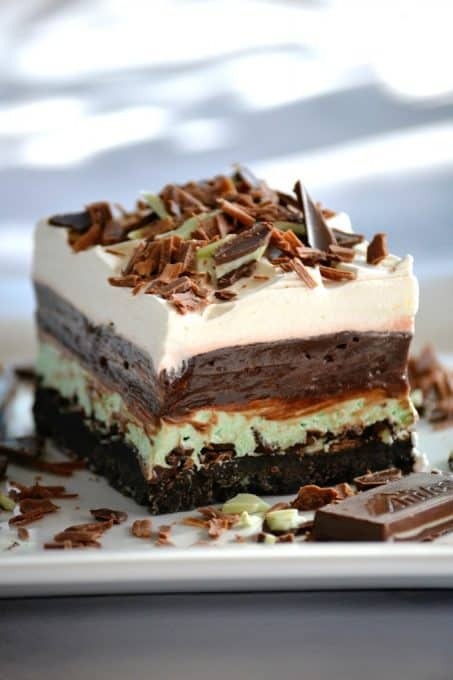 based on what I found here when I Googled it: https://www.recipetips.com/kitchen-tips/t–1615/how-much-frosting.asp, I would double the recipe. I was going to say make 1 1/2, but just to be on the safe side double it.